Am I the only one with a produce bucket list? Several months ago I made a baking bucket list, but since I’m in the midst of a Whole30, focusing on my produce bucket list is much more appropriate. One of my New Year’s resolutions is to try cooking with new vegetables, and I’ve been having tons of fun so far. Some of these vegetables are ones I’ve already tried, but that seem under-appreciated or under-represented in cookbooks, restaurants, and the blogosphere. Others, like romanesco, are ones I’d love to try but am having a hard time getting my hands on. If you don’t have a produce bucket list, maybe this post will inspire you to start one! 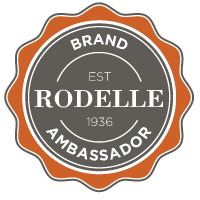 I hope it will at least inspire you to pick up one new vegetable and give it a chance in your kitchen this month. What’s your favorite under-appreciated veggie? 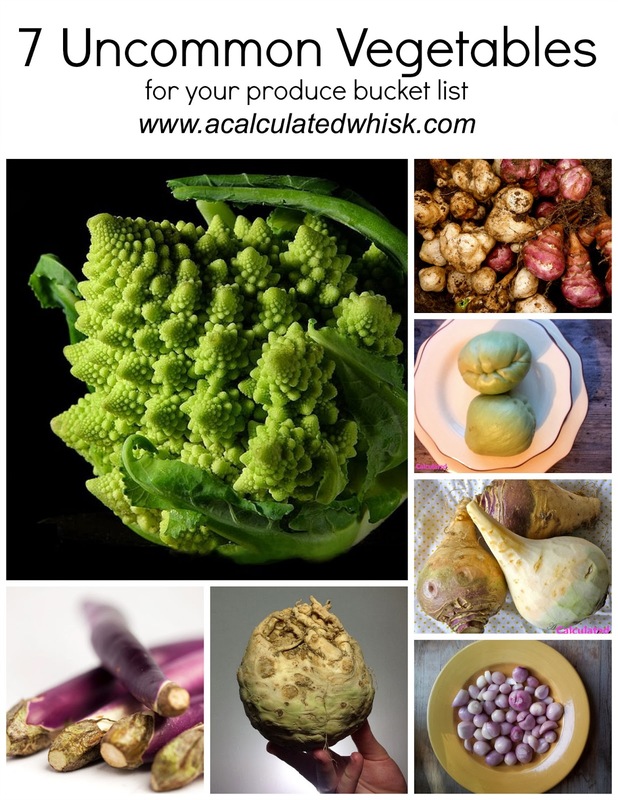 Feel free to leave links to recipes you love with these vegetables or others. Also, are there some veggies I didn’t mention that you’re dying to try? I’m always looking to add to my list! As soon as I tried rutabagas (also known as yellow turnips), I put them into my regular rotation. Rutabagas are by far my favorite mashed potato substitute–even more delicious than the real thing. My boyfriend asks for them all the time. Check out these awesome rutabaga recipes for bacon-wrapped shrimp over creamy rutabaga (use ghee instead of butter and coconut milk instead of cream for a Whole30 version), mashed rutabaga & squash with roasted garlic (vegan, Whole30 compliant), spicy shrimp and kale with creamy rutabaga, and shepherd’s pie with rutabaga. This is one I haven’t tried yet, but it’s next on my list. 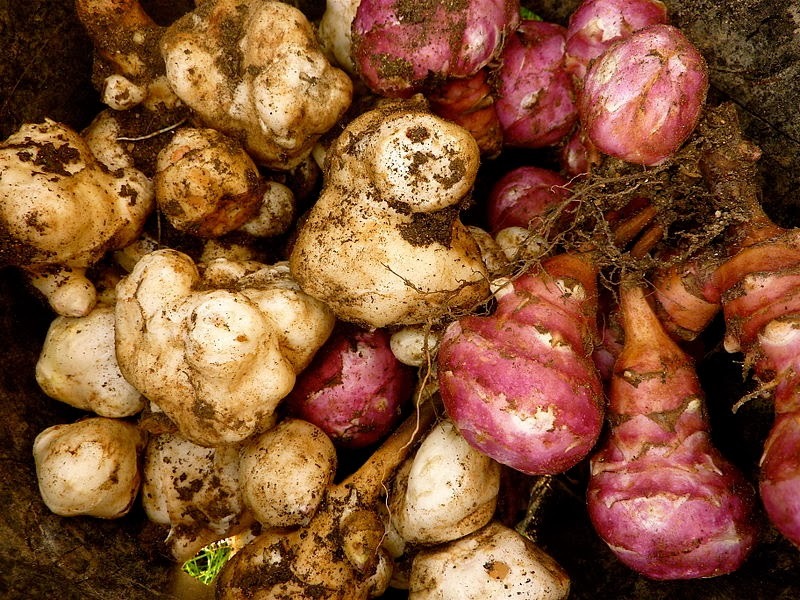 I always see these at the store under their other name, Jerusalem artichokes. I’ll probably start by making this roasted sunchoke soup with caramelized shallots from A House in the Hills. It looks fabulous and I like to put crispy shallots on all the things. Also, these simple roasted sunchokes from the Kitchn look fabulous (bonus: no peeling required). 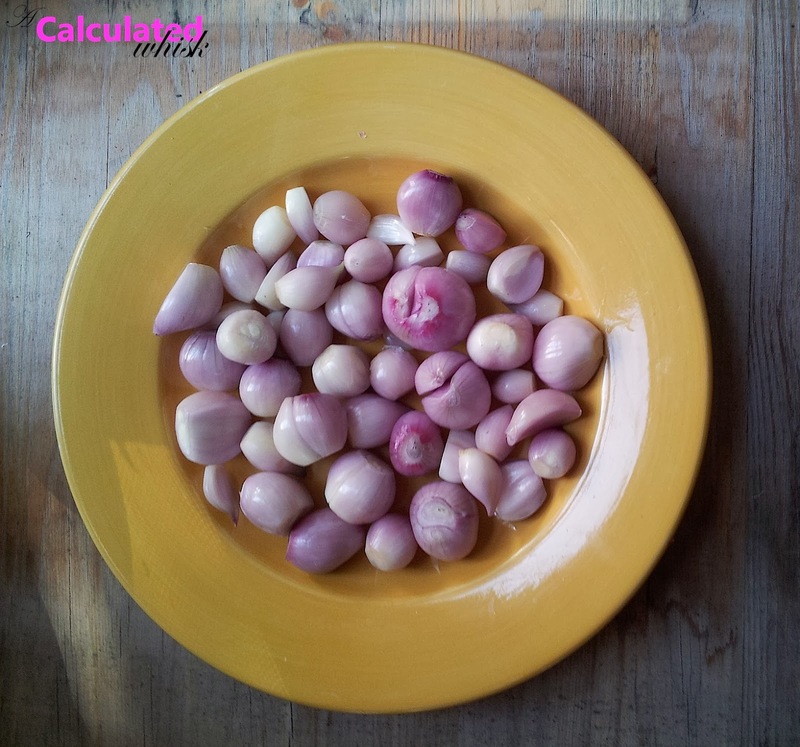 You probably know about shallots, but you may not be giving them the attention they deserve. 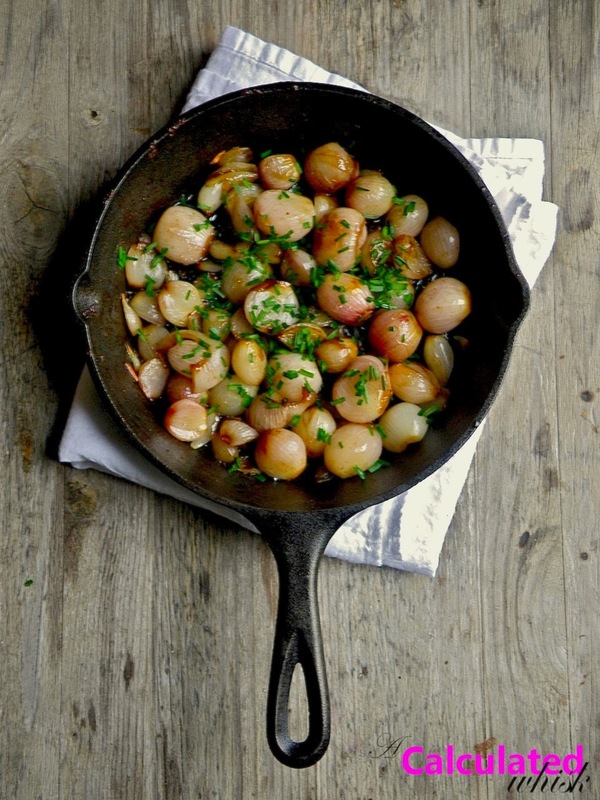 Try whole caramelized shallots, and you’ll understand what I mean. Omit the sugar for a Whole30 version. 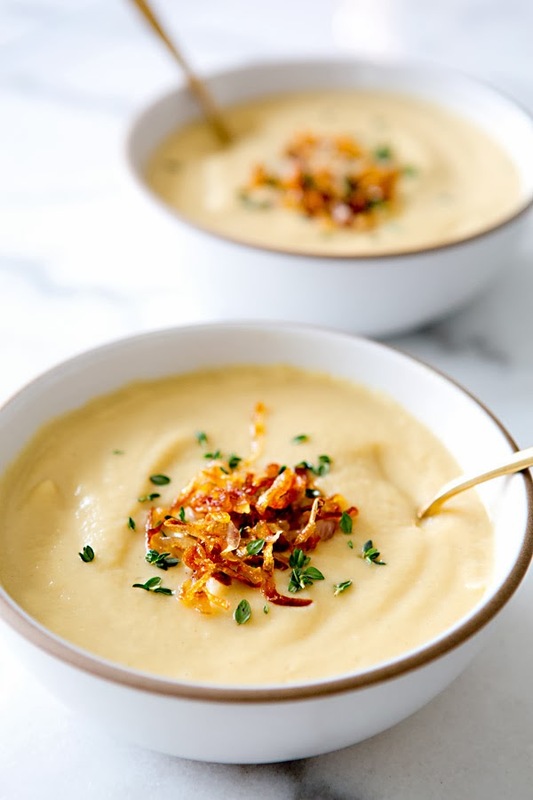 Also, try this pumpkin soup with crispy shallots (vegan, Whole30 compliant). Alicia Silverstone’s recipe for roasted green beans & shallots also looks delicious (vegan, Whole30 compliant). 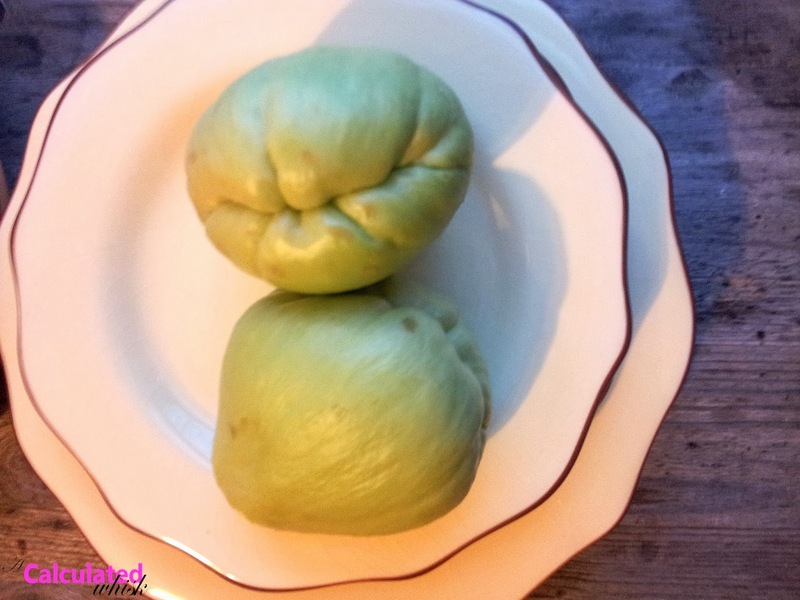 I found this fun squash at the Vietnamese supermarket around the corner and used it in my caldo tlalpeño. It tastes like a cross between a zucchini and a cucumber. This chayote & pickled onion salad also looks really good (vegan, omit the sugar for a Whole30 version). I like to use these slender, light purple eggplants instead of the clunky Italian ones. 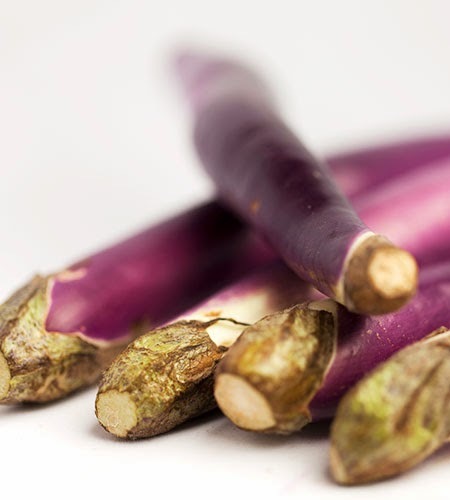 Try my paleo yu hsiang eggplant (vegan, omit peas for Whole30) or add them to any Thai curry. Next time I pick some up, I’m going to try this garlic-roasted Japanese eggplant (vegan, Whole30 compliant). I tried this mashed celeriac (vegan, Whole 30 compliant) recently–it was good, but won’t replace rutabaga as my favorite mashed tuber. Next, I’m eager to try these fries which can be made with celery root or parsley root (vegan, Whole 30 compliant) . This celery root & arugula salad (vegan, Whole 30 compliant) is also calling my name. 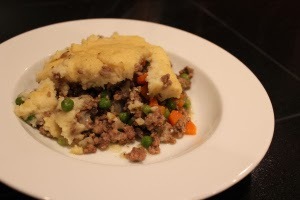 Also, check out this shepherd’s pie with mashed celeriac! Romanesco is pretty much the most beautiful vegetable I’ve ever seen. 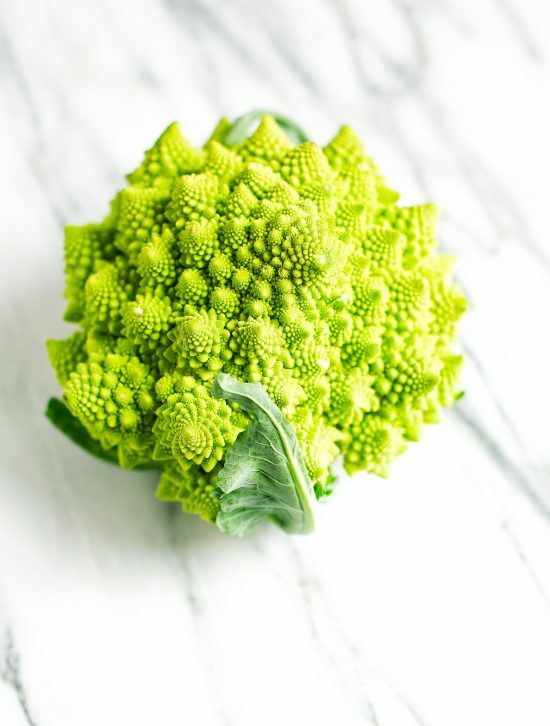 What other vegetables have fractal designs? You can use romanesco in any recipe that calls for broccoli or cauliflower, but this salad looks especially perfect (vegan option, Whole30 compliant). I’ve been keeping my eyes peeled for it and buying it every chance I get. 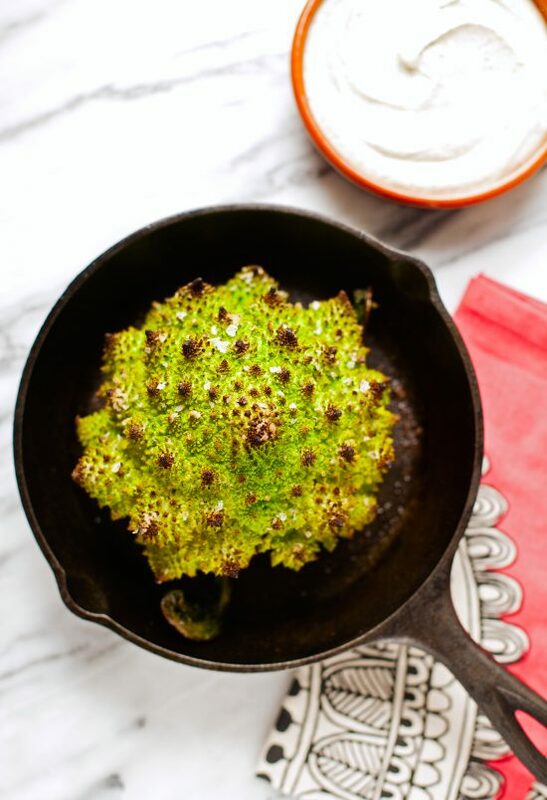 I like to leave it whole for a stunning presentation–check out my recipe for roasted romanesco with za’atar yogurt sauce here. 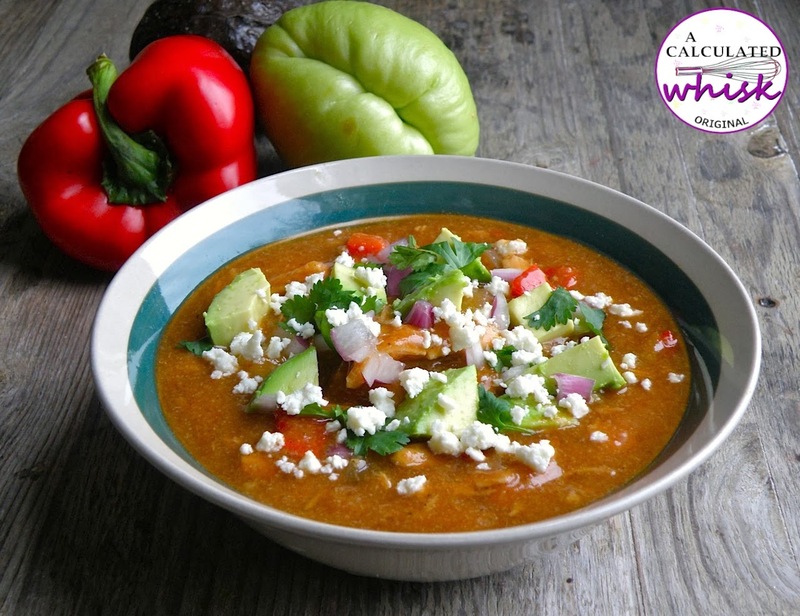 What new veggies have you tried this year? What’s on your produce bucket list? I tried rutabagas (also known as yellow turnips), I put them into my regular rotation. Great list! Love these ideas, especially the eggplant and the rutabaga. 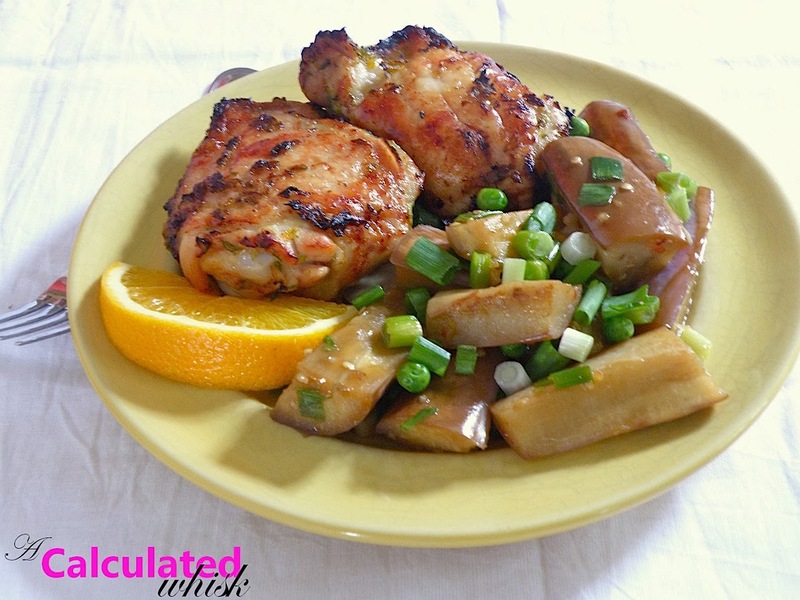 I've used cauliflower as a mashed potato substitute, but I'd like to give rutabaga a try. Thanks, Sarah! I think you'll love the rutabaga. It comes out creamier than mashed cauliflower, and it's such a nice light golden color :). Let me know if you try it!